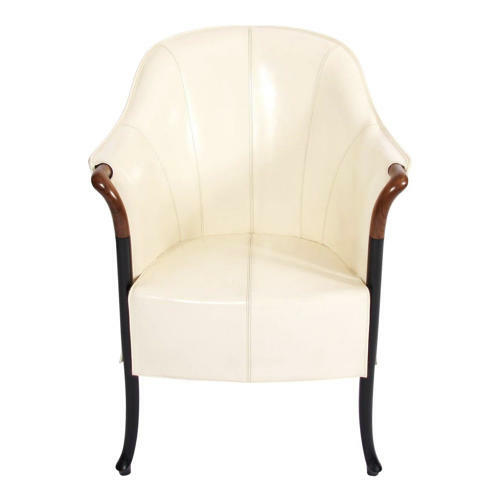 An elegant single leather armchair, by Italian maker Giorgetti, in cream. Exquisite stitching detail. This quality armchair 'Progetti', by first class furniture manufacturer Giorgetti Italia, is upholstered in leather.